Executive Vice President, CFO/COO Charlie Gisler. 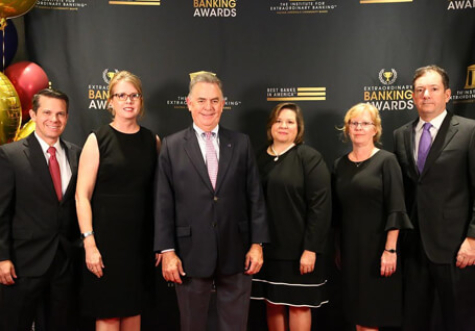 Marine Bank & Trust was recently named among the top extraordinary banks in the United States by The Institute for Extraordinary Banking.™ Marine Bank was recognized with the Institute’s Banky™ Award for its commitment to strong community banking. This recognition is given to top community banks across the country to help people find the best banks n their communities. 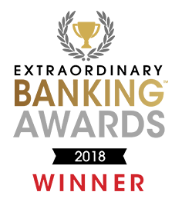 The Extraordinary Banking™ Awards were hosted by The Institute for Extraordinary Banking™ on September 11, 2018 in Minneapolis, Minnesota. The focus of the program was to highlight the vital, yet sometimes overlooked, role that local community banks play in our economy. Without a thriving, competitive local banking industry, our small businesses and families sometimes become numbers in larger financial institutions. The Extraordinary Banking™ Awards recognize the best of what community banks offer to our communities and nation. Marine Bank provides financial resources to small businesses through commercial real estate loans, construction loans, commercial lines of credit, SBA and USDA loans. Since January of 2017, the Bank has financed commercial loans totaling nearly $30 million. Marine Bank is also a leading home mortgage lender and, since January 2017, has assisted 306 individuals or families in securing the home of their dreams. Awarded by the Institute for Extraordinary Banking, The Banky™ recognizes 20 banks for differentiating their brands in the following five categories: BanksGiving™ (Philanthropy), Above-and-Beyond Customer Service, Thought Leadership, Thank God It’s Monday® Internal Culture, and Money Smarts (Financial Literacy Education).